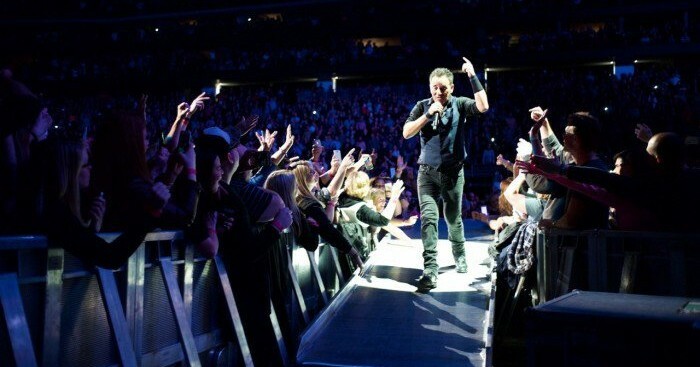 Bruce Springsteen will perform in Oslo on June 29th in 2016 at Ulleval Stadium. Want to grab hold of some Bruce Springsteen tickets for the Oslo concert? People in Norway were not happy as the prices for the Bruce Springsteen tickets for the concert in Norway turned out to be really high, but still all tickets were of course sold out and the Ulleval Stadium is expected to be packed as Bruce Springsteen comes to perform on June 29th. If you still need tickets for the Oslo concert with Bruce Springsteen then you can buy tickets for this and all other Bruce Springsteen concerts in 2016 from WorldTicketShop. You can find the link a bit further down. What might count as a small minus with this concert is that June 29th is in the middle of the Euro 2016 and lots of people will want to stay at home to watch all the excitement live from Paris and France on their television or computer screens. But, why not take a break from Euro 2016 as you watch and listen to Bruce Springsteen at the stadium where Norway normally play their national matches in football and at the stadium where the team lost 1-0 to Hungary in the first of two playoff matches for the Euro 2016? Bruce Springsteen will also perform in cities such as Stockholm, Dublin, Copenhagen and more, while Budapest, Prague, Krakow and other more eastern cities will remain un-visited by the king in 2016. But the King of Kings will for sure be there anyway!